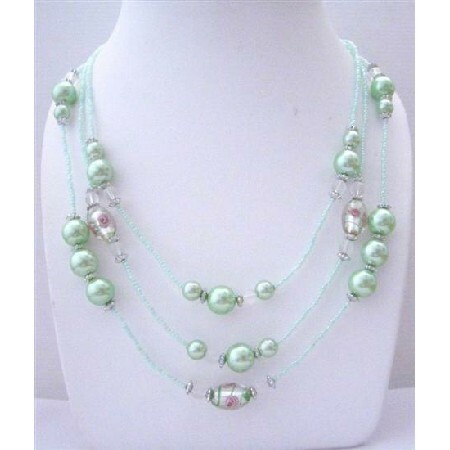 This magnificent necklace features multi light Green beaded 3 Stranded Necklace with Green Simulated Pearl with Self Painted Millefiori Beads beautiful accented in 3 strands necklace. A cluster of iridescent Necklace with Beautiful beads would look pretty with many of dresses. Celebrate your individuality. Variations in the color & pattern of beads pearl & millefiori beads beauty to the necklace.